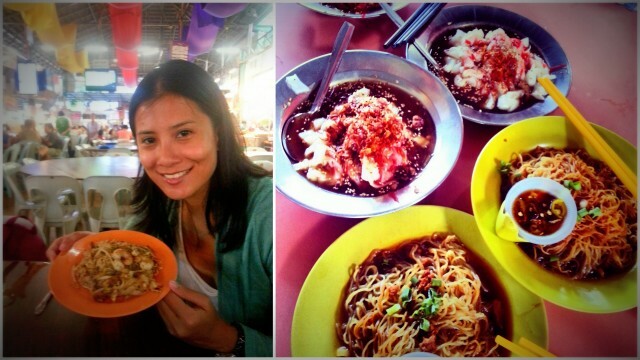 The Ultimate Malaysian Food Trip! 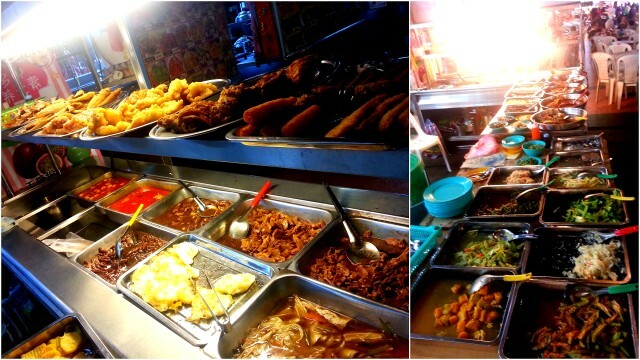 There’s really no better way to explore Malaysia than on an empty stomach. Well….come to think about it, I came to Malaysia on a full tanked-gut yet I still managed to eat my way around Ipoh and Penang. Either Malaysia’s food is really that wonderful, my stomach is an endless pit, or I’m just a shameless glutton. Or all of the above. If you are visiting Malaysia for the first time, set aside maybe half a day to go to the Petronas Towers (the landmark of Malaysia and photo-op spot that yells “look! 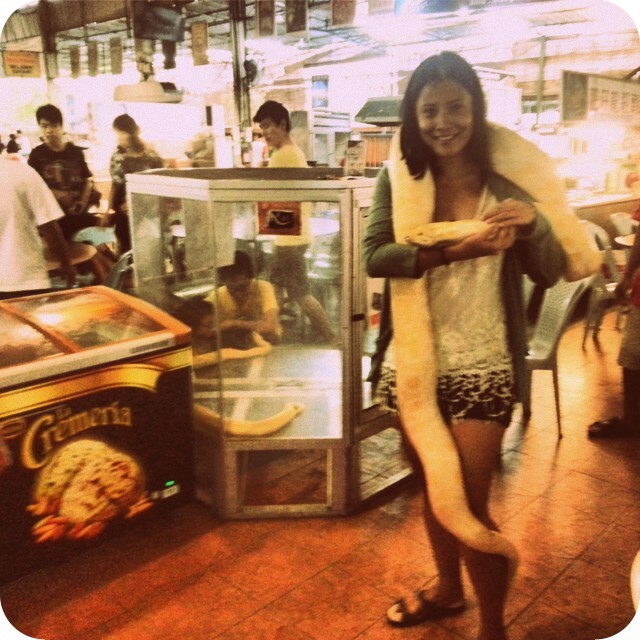 I’ve been to Malaysia!”). After that, it’s all about the FOOD. 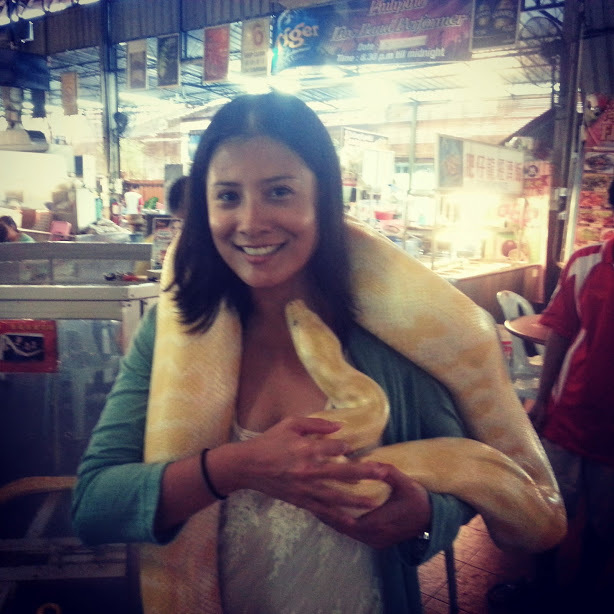 Because nothing screams “Ive been to Malaysia! (and ate my way around the country too!! 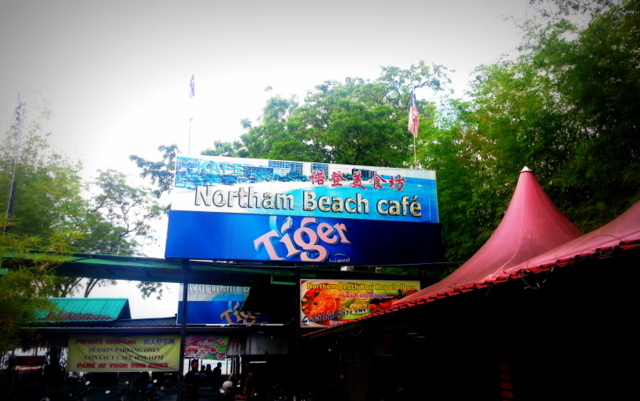 )” than a Malaysian food trip. Malaysia is a melting pot of 3 races- Malay, Indian, and Chinese. And what do you get when you combine three rich, flavourful, and diverse cuisines? Yes, you got it…AMAZING FOOD. ALL. THE. TIME. 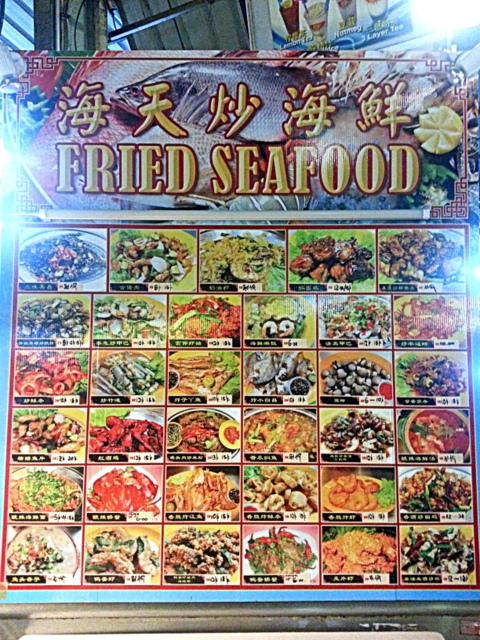 Now what I find remarkable about food in Malaysia is the no-nonsense, no fuss and no frills approach. 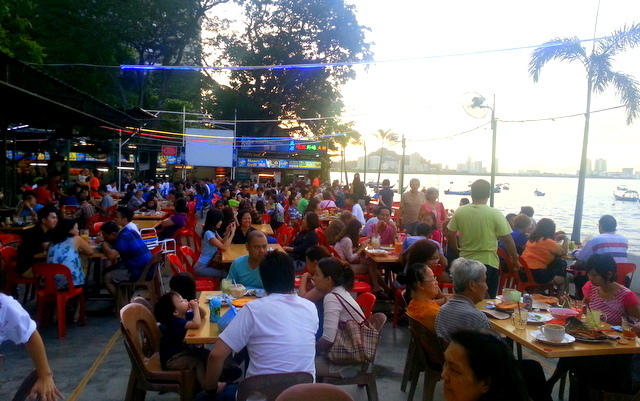 To explain further, I will make a generalised comparison between food in the Philippines and food in Malaysia. (I’m comparing the approach towards food, Not the food itself, btw). In the Philippines, it’s all about the latest food trend. Ramen, Cronuts, etc. Whatever the latest food fad is, be sure that it will be catered to in the Philippines. Complete with nice (sometimes fancy) ambience. It’s thematic and trendy. In Malaysia, food is seen as FOOD. Something to be served on a plate and devoured. It’s simple, basic, and the food are all ‘classic’, tried and tested all-time favourites. This is what amazes me. How many Char Keoy Teow stalls can one street have? 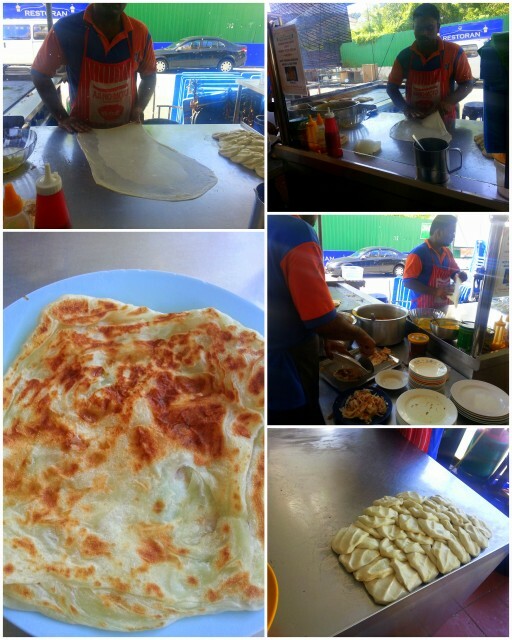 Or in one suburb, you can probably find 5 stalls that sell Roti Canai. And yes, stalls. 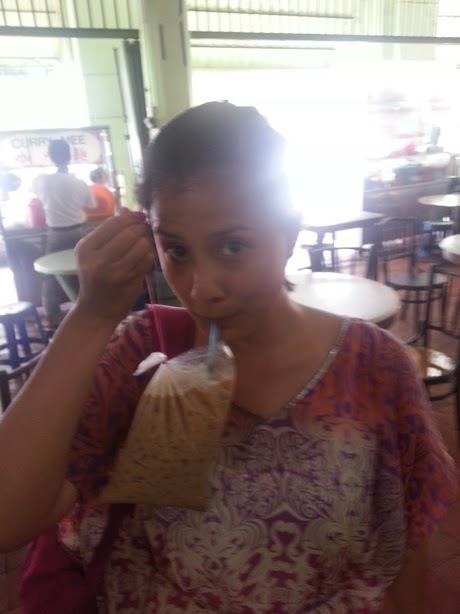 It’s the no-frills kind of eating that’s fun to do in Malaysia. let’s partay at the cafe! Why, it’s everybody wangchung tonight at the cafe! And it’s not just one cafe, it’s like an open food court. Monobloc plastic chairs and all. Malaysian mamak stalls are a true test of being a foodie. Forget about ambience, or a long, lazy meal. It’s fast service with top-notch food. And it’s really not surprising too that people eat literally non-stop in Malaysia. The meals are cheap, and served in small plates that make you want to come back for seconds, thirds, and fourths. It seems like a way of life. Grandmothers and month-old babies are out at 11PM having midnight snack with the rest of the brood. The photo below is the most basic (and probably cheapest) meal you can have in Malaysia. These are stalls called “Economy/ Ekonomi Rice”. All food are laid out in a spread and you pretty much just point out what you want and you pay for what’s on your plate. A plate of this can cost around 10 Ringgit (3.50 AUD). While the economy rice layout doesn’t really appeal to me (not too thrilled with the thought of food left open like that for hours), there’s still heaps of choices around. 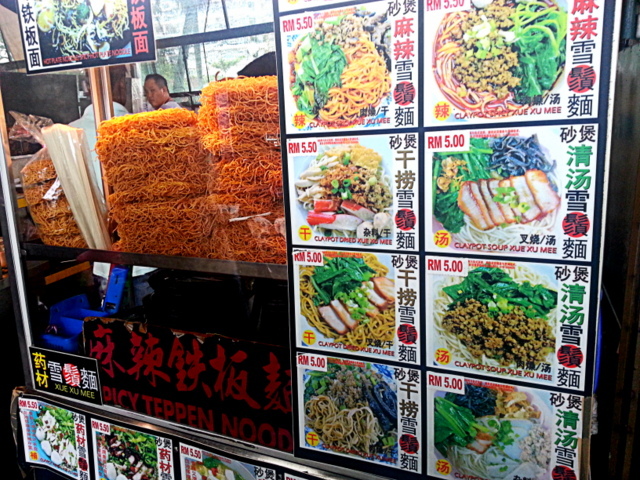 Noodles are big in Malaysia and there’s probably a thousand and one variations of cooking and serving it. But my favourite noodle meal is the classic all time-favourite Char Keoy Teow (right). These are flat rice noodle strips with prawns, chicken, beansprouts, egg and shallots. Sounds simple enough but it’s the method of cooking it (in a wok, on high fire) that gives it the distinct, slightly burnt texture that makes it irresistable. They say that Penang has the best Char Keoy Teow in Malaysia. To me though, they taste pretty much the same throughout Malaysia , and they are all by far very, very good! Roti Canai is the bomb! It’s the unhealthiest, fluffiest friend my stomach has ever met. I can never tire of eating that, I tell you. I love having it with mild curry, dahl, lentils, yogurt, oh my, pretty much everything! While I did stick to my old favourites in this food trip, there were also moments of discovery. 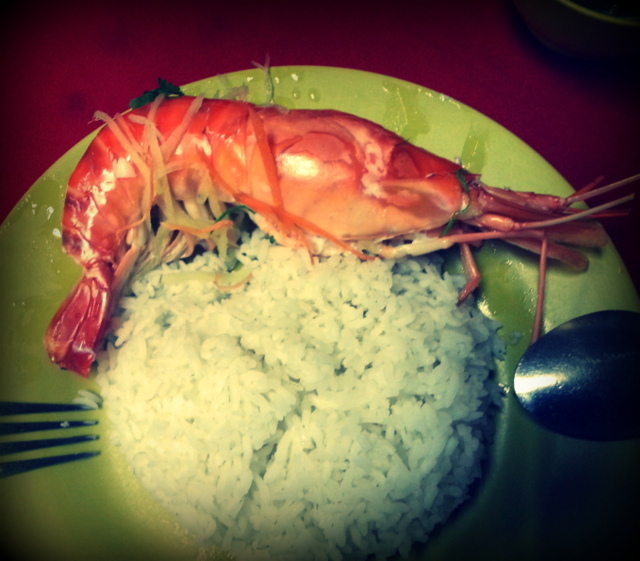 Like this MONSTER PRAWN that landed on my plate. CRAWN = Crab sized Prawn. While I still prefer the normal-large sized prawns, I loved the eggy sauce of this prawn. Prawn head-lovers will rejoice. There’s a huge amount of juice in that creature. Good-old Chicken Satay, and Belaccan Chicken. These are perfect appetizers! 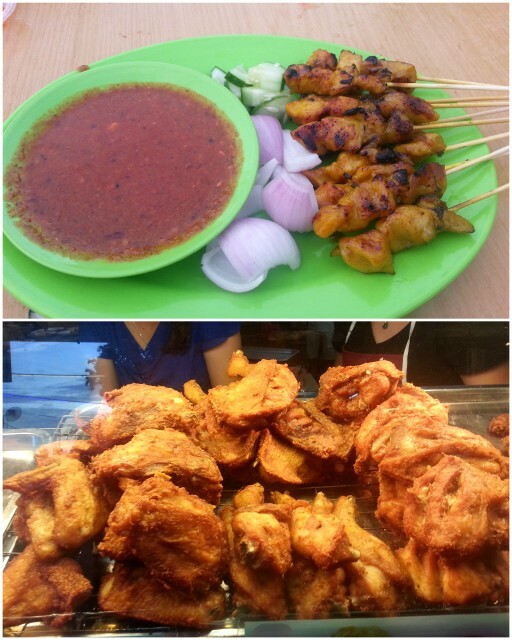 For years I avoided chicken satay in Malaysia thinking I could have it anywhere anyway. But I should have known that food is always better when eaten from its place of origin! And Belaccan Chicken- Belaccan is a Malaysian variety of shrimp paste. The chicken pieces are marinated in it before being deep fried. I leave it to you to imagine the lip-smacking, crunching sounds. Now I have written way too much about food, it’s time to walk the talk. Here’s a video of my ultimate food trip. Please don’t blame me if you get hunger pangs after watching this. Bon Apetit!! WHAT IS YOUR FAVOURITE MALAYSIAN DISH? 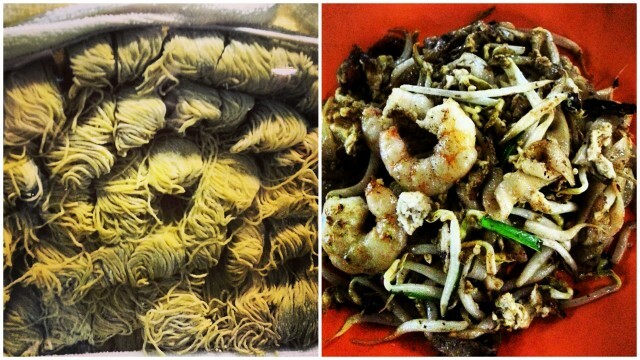 IF YOU HAVEN’T HAD MALAYSIAN FOOD YET, WHAT FROM ABOVE WOULD YOU LIKE TO TRY? Hi Sandra, yes I really gobbled my way up and down Malaysia (couldn’t say “round” as i havent been to West Malaysia yet!) A month in Malaysia, that’s amazing. Yes Roti is the perfect breakfast, lunch, and dinner for me 😉 Yes the food scene in Penang is definitely more alive , that’s where I had most of my eats. and Ipoh too.